Home Maintenance Hot Spot – Windows and Doors - Environmental Studies, Asbestos Investigations, Industrial Compliance & Soil/Groundwater Remediation. If you have conducted the home maintenance air pressure test and have found some leaks you will need to investigate further. Inspect your window panes for cracks. If you find any, it’s time to replace the window, preferably with an energy efficient version. 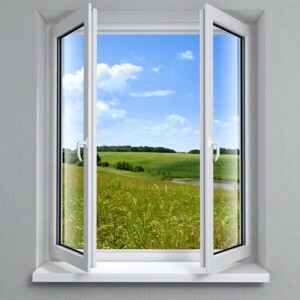 Some older windows can be repaired to save money. Seal air leaks by caulking and weather stripping around frames. Insure windows close tightly, check locks. Top locks should fully grab latches. Tighten cranks on casement windows and check their seal when locked as well. Inspect doors for leaks. Check for fit and durability of each exterior door. Inspect weather stripping for peels and gaps and replace if necessary. Insure the door hinges are tight and doors fit securely in their thresholds. One more thing, notice any brown staining on walls under and around windows and doors. These are telltale signs that water is invading and air is escaping. Cut a small hole in the stained drywall to check for wetness. If you find moisture, a repair is warranted, the sooner the better. Drywall when wet easily grows mold. That is why the sooner the wet drywall is replaced the better. If mold is already growing special care must be taken. Call our office for assistance.